A light weight yet heavy duty commercial trimmer designed to produce additional torque for extreme conditions. The BCZ230TS provides 0.94 horsepower while only weighing 10.1 pounds. 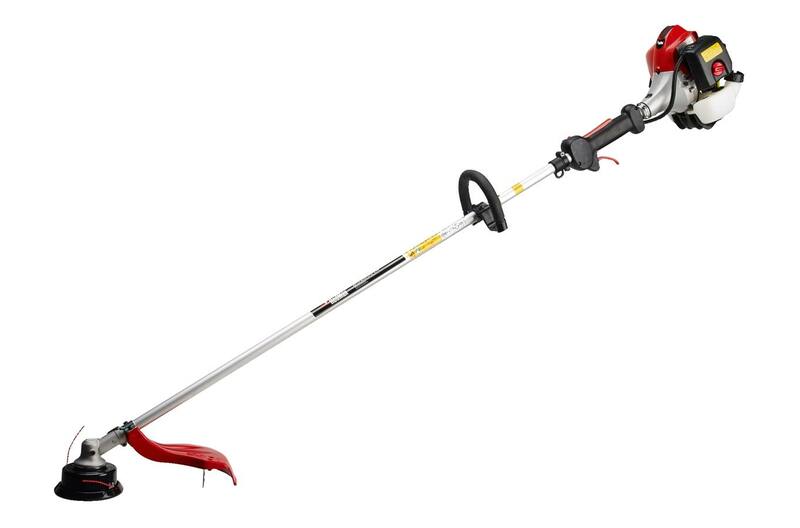 Couple this excellent power-to-weight ratio with the Strato-Charged engine and the steel shaft and you have one of the most fuel efficient, durable, and light weight trimmers on the market. 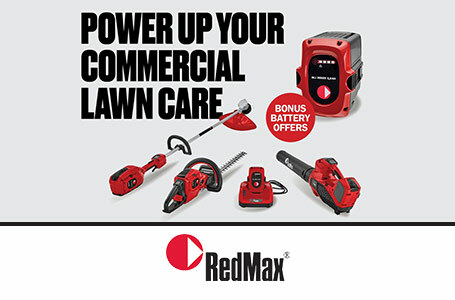 Supercharge your landscaping with the RedMax Battery Series. This family of commercial grade equipment is ready to take it’s place on your trailer. Power Up Your Commercial Lawn Care. Supercharge your landscaping with the RedMax Battery Series. This family of commercial grade equipment is ready to take it’s place on your trailer. You’ll love the ergonomic design, quiet, powerful performance and the spring savings. Buy qualifying handheld battery products and receive a bonus battery offer. Powerful, durable and easy to use, RedMax battery products deliver professional results every time. OFFER 1 - Buy a qualifying handheld battery product with a charger and battery,* and get a bonus battery. OFFER 2 - Mix and match 3 qualifying handheld battery products,* with a charger and get two bonus batteries.